Special occasions are a great time to boost sales and gain new leads through effective email campaigns. And, Father’s Day is just around the corner! As customers’ vogue continues to rise high year over year, 77% of Americans will be celebrating Father’s Day 2018 with high spirits, making out an average spending of $133 per person, reveals National Retail Federation in a report. This comes out to be a total spending of $15.3 billion! Here lies the potential, everyone’s hunting for the perfect gifts, offer a deal that people just won’t ignore! Bring your brand in front of these people! Well for this, these email marketing tips are going to help you get your brand’s recognition and promotion! 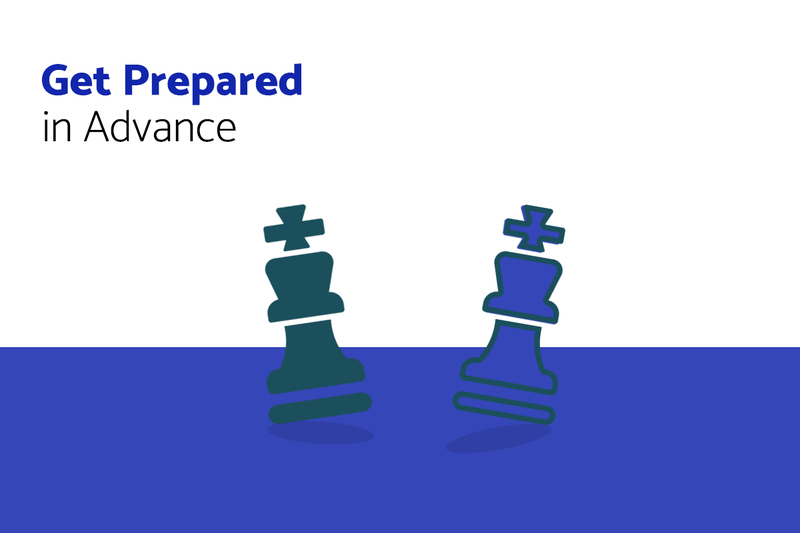 Yes, an advanced preparation is important for your market competitors don’t catch a chance to get ahead of you! Start promoting at least a few weeks before. This calls you for an influential plan and everything ready at least a month ahead of time! You have a long list of options to pick. You can go for a banner at the top of your homepage, an entirely redesigned homepage (dedicated to this special day), father’s day landing pages, in fact, creating advertisements would do great! Get your campaign planners, designers, and writers ready for an ultimate bang with your email marketing campaigns! Again, these might seem easy, but, are not last minute tasks, you have to be pre-prepared for such big days! What you can do is, know when to start preparing by setting up reminders in your calendar for such holidays at the beginning of the year. Make your customers purchase from you. Occasions like Father’s Day bring in a fantastic opportunity to offer your subscribers a little extra incentive to purchase from you. Saving money as well as getting their dad a gift they would actually love and find worthy is one of the top priorities of customers finding the right gift for dad. A special Father’s Day deal will definitely get you more leads, conversions, and sales, but yes, the deal has to be undeniable! Well, we have some ideas for you. Have a look. Organize a contest, for an example, ask your buyers to share the pictures of their Father’s Day purchases with your company’s name in a hashtag to get a chance to win a prize- a gift card, or a special discount. Introduce gift cards on certain minimum Father’s Day shopping, say, for every Father’s Day purchase of $60 or above, offer a gift card worth $15 that can be used later on within a validity of 3 months. Categorize your database into groups in accordance with the common interests and segment the campaigns to meet each. Send targeted emails that promote specific products for each category, but include different options for other categories too, depending upon your business. All-in-all, an organized database is a must for a more accurate, fast, and effective email marketing campaign. It makes sure that you reach out to the right audience. Well, gift finding is not easy at all, you know. All dads are different, they certainly are! There’re young dads and there’re older dads, there’re handymen dads and there’re chef dads, there’re first-time dads and then dads with 2-3 kids. Some may be cool and easy going who love to cook, while some disciplined and strict who might love the technological stuff, and some other might be unique in their own ways who love to garden or even sew people, just for the sake of fun! When dads aren’t the same, how can their gifts be? Having a typical dad’s section doesn’t fit well when it comes to gifting them on their special day. Rather, there has been a dramatic change in the gifting options over the past decade. They’re confused for what would make their dads happier because a majority of them thinks that shopping for their moms is way easier than shopping for their dads! 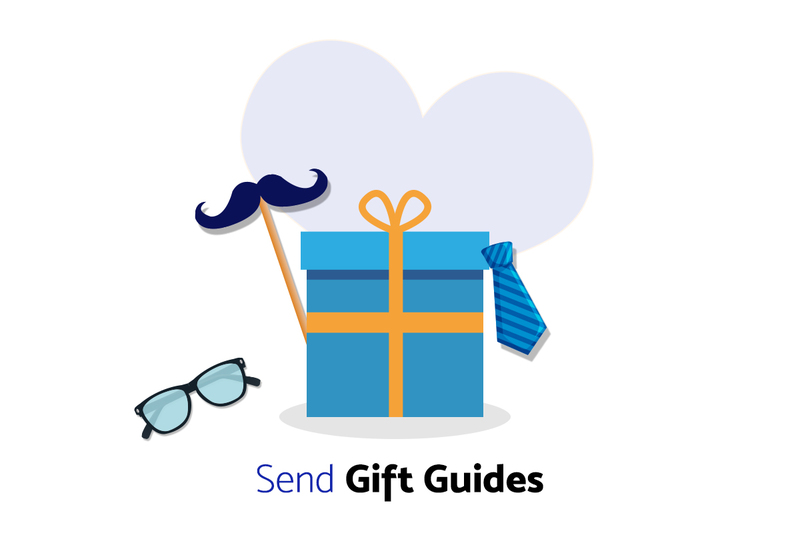 Give them a solution- make and send a gift guide and offer them easier ways to find the right gift in your gift guide. Create different categories like tools, clothing, tech, and sports to narrow down the options for finding out the right product. 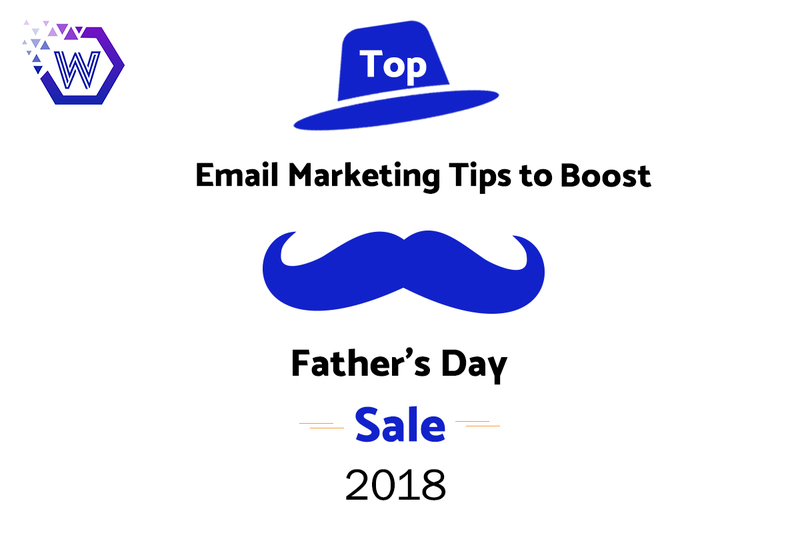 Help those who don’t know what to buy their dad, and do incorporate this information into your email marketing strategy. Email marketing is an incredibly successful tool for generating sales, you know that, right? But to make your email marketing campaign a super hit, you need to know the right people to target. Take assistance from Google and Facebook ads, they do it wonderfully! Incorporate trust elements on your website if it is new to your customers. An approval seal from a reckoned third party does quite well in influencing the new customers to trust your website for making a purchase for their dad. A website with customers’ reviews is often more trustworthy among buyers as it gives a social proof of product quality. This natural trust building proves out to be a definite plus for conversion boosting. Installing an exit-intent pop-up, offering bigger discounts or some other promotions, on your website can be a perfect tool to remind your website visitors that Father’s Day is coming up and the product they’re looking for is already under discount with you! These amazing tips and tactics do really well to promote your website and brand when Father’s Day is just around the corner. Be double sure, it’s a great time to offer good discounts and engage shoppers with your brand and you’re on the right track for building a robust base for a great customer relationship, every business strives for!